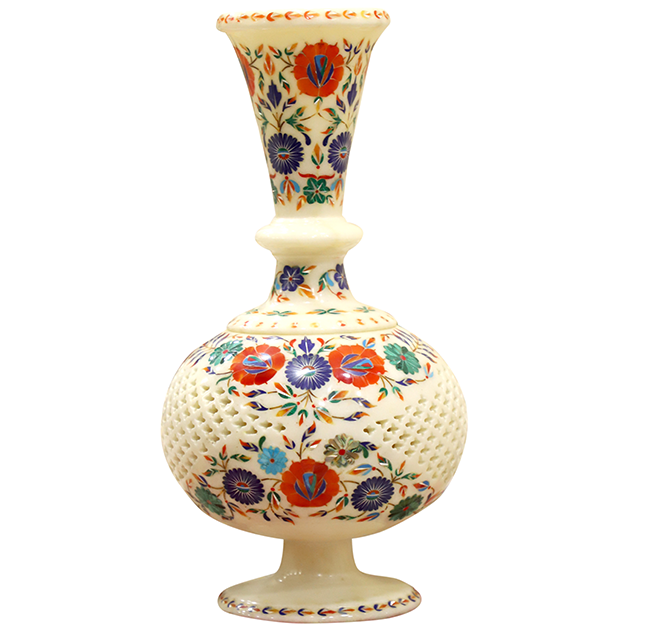 Antique Marble Inlay Pot is an exclusive article of our collection. It is having the finest work of Inlay Art. 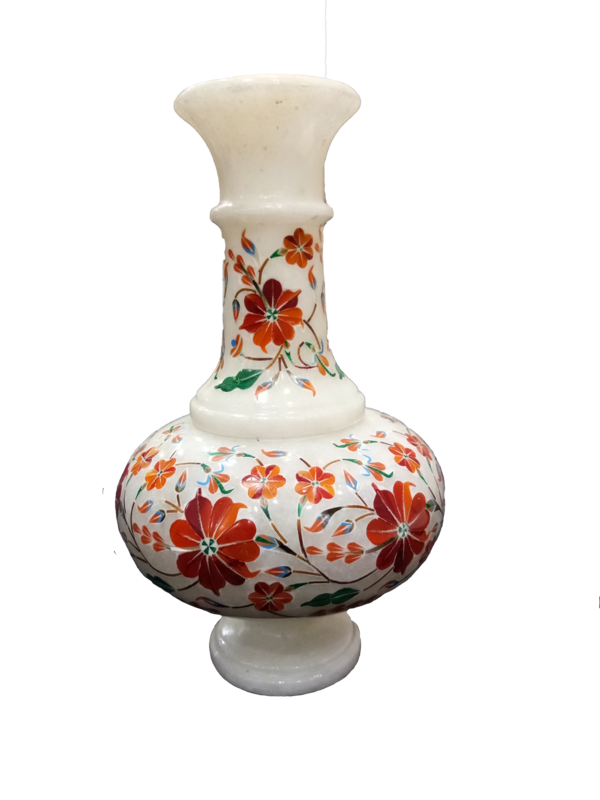 Antique Marble Inlay Pot is very antique & unique product of us. The inlay work of semi-precious stone Coral giving it a beautiful touch of this art. 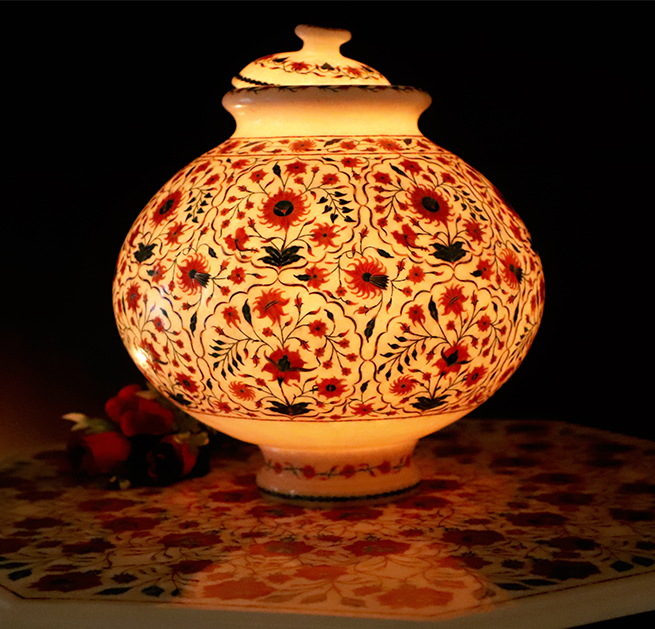 Antique Marble Inlay Pot glows in a pod light giving beautiful image to your Home Decor. 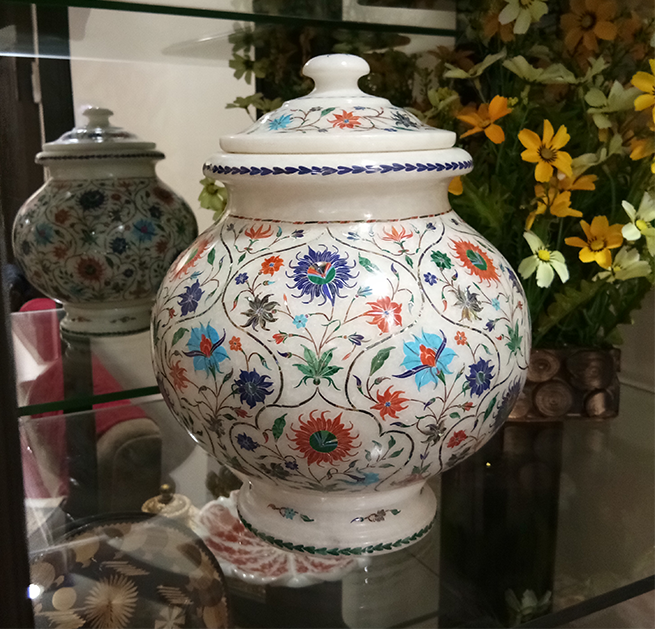 Antique Marble Inlay Pot reinvents the Antiqueness of your Home Decor. 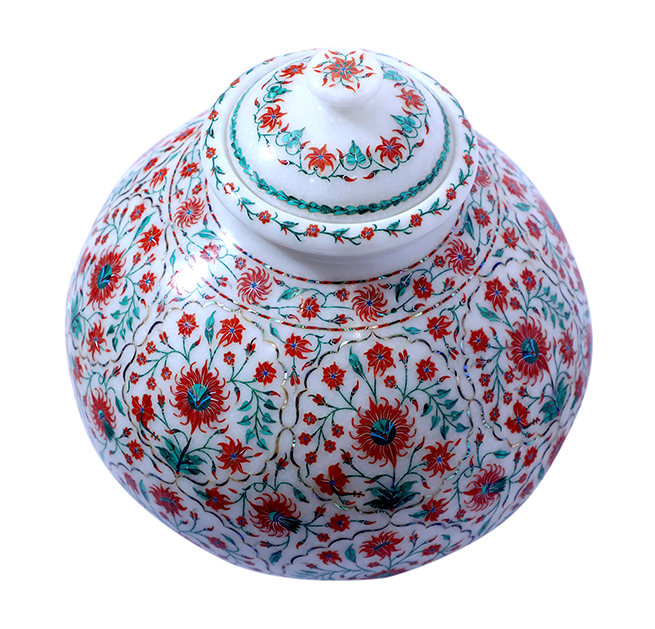 Antique Marble Inlay Pot is having that much of delicacy in work that it takes approximately 6 months to get prepared.